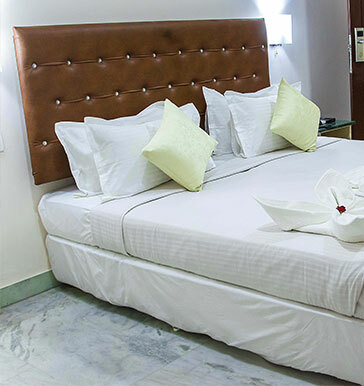 Welcome to Royal Airavatha Residency where your stay will be comfortable and your entire experience memorable. Our chic accommodation is guaranteed to please you with excellent hospitality, spacious rooms, and modern amenities. 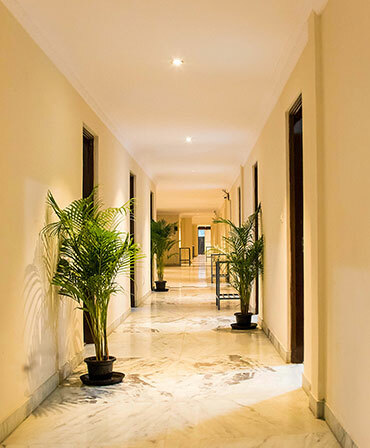 We have combined comfort with elegance in our property to offer you a stay you will remember. We accommodate all kinds of guests for both short and long duration stay. Our rooms are the perfect blend of comfort and modern elegance. 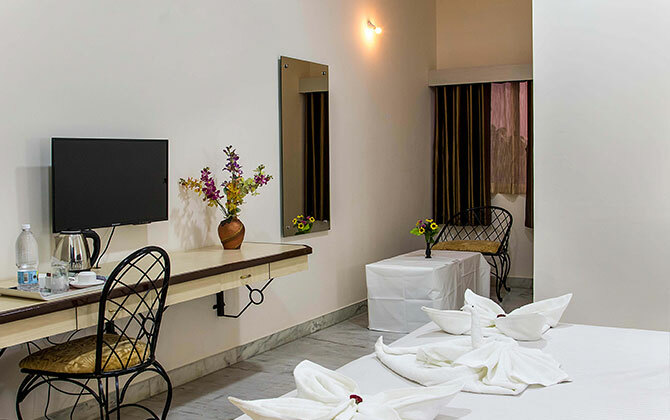 All the rooms are designed with special attention to detail and affixed with basic amenities. We believe in simplicity and the same is reflected in how we have done up the rooms at our property. Expect elegant, eye-pleasing designs in all our rooms. Comfortable beds, sufficient ventilation, and provision for natural lighting ensures you feel at home when you stay in our rooms. These rooms come with a double bed and are designed in light colours. The room comes with an attached bathroom and is equipped with basic amenities such as TV, desk, and more. Extra bed can be provided for a small additional fee. These rooms can easily accommodate two people without any hassle. 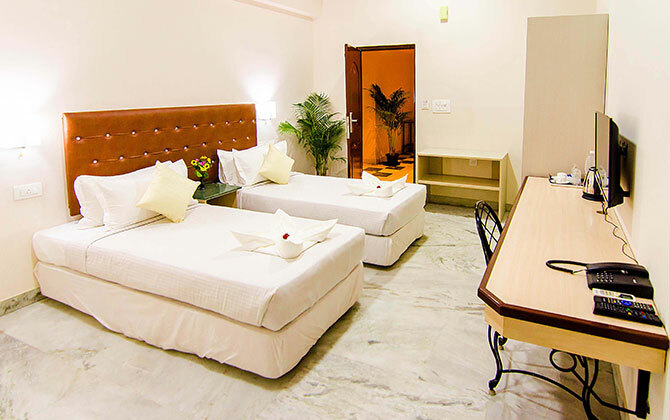 The room comes with a twin bed, TV, attached bathroom, desk and chair, and pleasing room decoratives. Guests can get an extra bed for additional charges.